Compels monarchs to stay in your garden for hours: mating, frolicking, synchronized group flights…you really have to see it! Not commonly sold in nurseries. 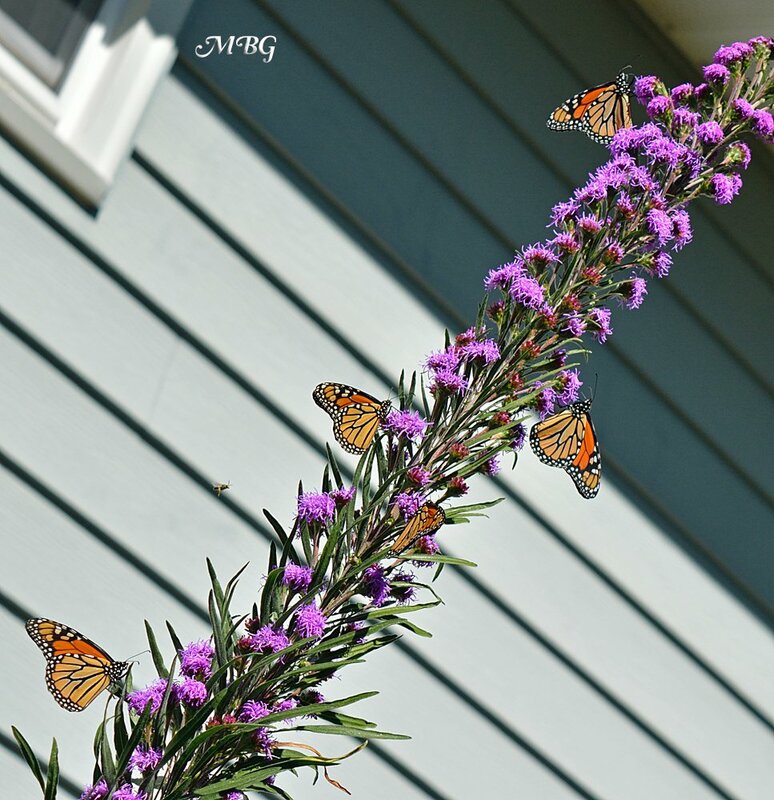 Don’t settle for other liatris species…the monarchs sure won’t! Plant at least 10 together for max monarch attraction- we have about 50 plants now which don’t start blooming at exactly the same time. This gives us about a 6 week bloom period with our patch. You can also extend the liatris effect by adding Liatris aspera (rough or button blazing star) . This is a shorter liatris variety that blooms a few weeks earlier. It’s also popular with monarchs, and is a good appeteaser to the meadow main event. Once your liatris ligulistylis eclipses 4 feet, use stakes and plant support clips to keep the stalks from flopping over, allowing you to better see the feeding frenzy. Meadow blazingstar can be planted/divided in spring or fall– we divided in fall with great results. Once established, you can add plants through division and seeding. The seedlings resemble grass, but they have a distinct line running through the middle of the ‘blade’. Besides monarchs, meadow blazing star is popular with bumble bees and an occasional hummingbird. 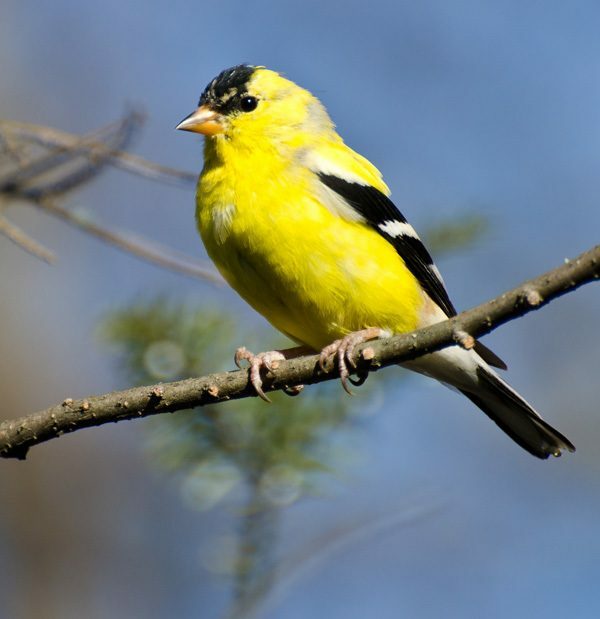 Goldfinches love the seeds. Please comment below if you’ve seen other butterflies sipping nectar from Liatris ligulistylis. This type of info is rarely listed so your input can help others make the best decisions for their precious garden space. To say the effect of this plant is ‘magical’ is not an exaggeration. If you have monarchs in your area or just traveling through, this plant will make your garden a hotspot destination. Hi Tony, I live in Spanish Fork, Utah, is my area good for liatris ligulistylis? Is this a perennial? Do I have to prune the plants every year? Also how long do they last? Hi, Tony. Thank you for all your great information! I live in Southern Florida. You mentioned that liatris ligulistylis does not do well in the south. Could you please suggest a “butterfly magnet” for my area? Much appreciated! Have you ever seen Liatris Ligulistylis in any of our local Minneapolis nurseries? This is my one must try plant this year. Looks like I may be too late to start by seed for this season? I have purchased it at Gerten’s in Inver Grove Heights within the last week. They have a couple other varieties as well. I bought several liatris Ligulistylis plants in the spring (not from Prairie Moon) two years ago to put in my school Waystation. They stayed so small I thought they were a bust and forgot all about them. The next year I saw the little sprouts come up and I knew exactly what they were. My garden partner all most weeded them out. They put up the most beautiful sprays of flowers last fall and were covered with monarchs! I was so excited that I bought half a dozen more from Prairie Moon as bulbs. I couldn’t believe what a beautiful size they were and I am sure that they will bloom this year. I see them coming up already. when I put my order in the kind man on the phone encouraged me to buy some seeds as well so I did. I cold stratified them in sand in my fridge (they send explicit directions, and so many of them have sprouted! I am hoping to have many plants by the end of summer to pass along to friends and neighbors to enjoy. I highly recommend Prairie Moon, great company to deal with. I also want to thank you Tony for all the good work you do spreading the word to help the butterflies! I have followed your blog for several years now and always find helpful information. The best was about starting the Asclepius Tuberosa milkweed seeds in water without cold stratification. Unbelievable! Works like a charm in 3 days.!! I bought Liatris Ligulistylis two years ago. Was disappointed they didn’t bloom the first year and didn’t realize that it was normal until after I bought the plants. Last year I only had about 3 plants out of 8 that survived so not much to offer the butterflies plus the fact they didn’t seem to grow well last year. Not sure if I’ll have any this year or not. Could it be that they were planted in a flower bed under black walnut trees was why they didn’t do well? I harvested some seeds from my neighbor last summer, before the frost, planted them indoors and have been germinating/propagating them since October. Then this morning the pot they are in spilled all over the floor. Hopefully some/most will survive the fall…good luck! I’ve had this plant in Denver, Co. for 3 years now. It is by far the plant that attracts the most monarchs (I also raise monarch caterpillars from eggs I rescue from an irrigation ditch mow strip). The same butterflies will visit for days to nectar from these blooms. They also attract bumblebees and hummingbirds, which can get some fights started (between hummers and monarchs!–both very territorial). Also, the only time I’ve had queen butterflies visit my yard in 20 years was in the last two years to visit this Liatris!! This is different than the liatris you buy in little bags at Home Depot with the spring bulbs? I’ve planted those, and haven’t seen many butterflies on them (the bees kinda like them) but there is swamp milkweed blooming very close-by that is covered with insects, so maybe that’s drawing them away. Where can I buy seeds now for planting next year for the liatris ligulistylis blazing star? Hi Kris, I have never grown them in containers but I would try a 10″ or 12″ pot to start. good luck! I live in southern Minnesota and planted 36 live Liatris ligulistylis in mid-June along with 4 Liatris pycnostachya and 3 Liatris spicata. The Liatris ligulistylis are planted in a wetter part of the garden and do not appear to be doing anything. The leaves are still green but they have not put on any new growth (of course the rabbits and a mole have munched on them from the top and bottom, I have put out an ultrasonic stake to drive away the moles). I have been watering them regularly. The other Liatris species have really taken off and the spicata will be blooming soon. I worry the Liatris ligulistylis appear to be doing nothing. Anything else I should do? Is is possible they are getting too much water? Hi Ron, liatris won’t flower in its first season. Next season, each plant should put up one or more stalks and start flowering sometime in August…definitely worth the wait! 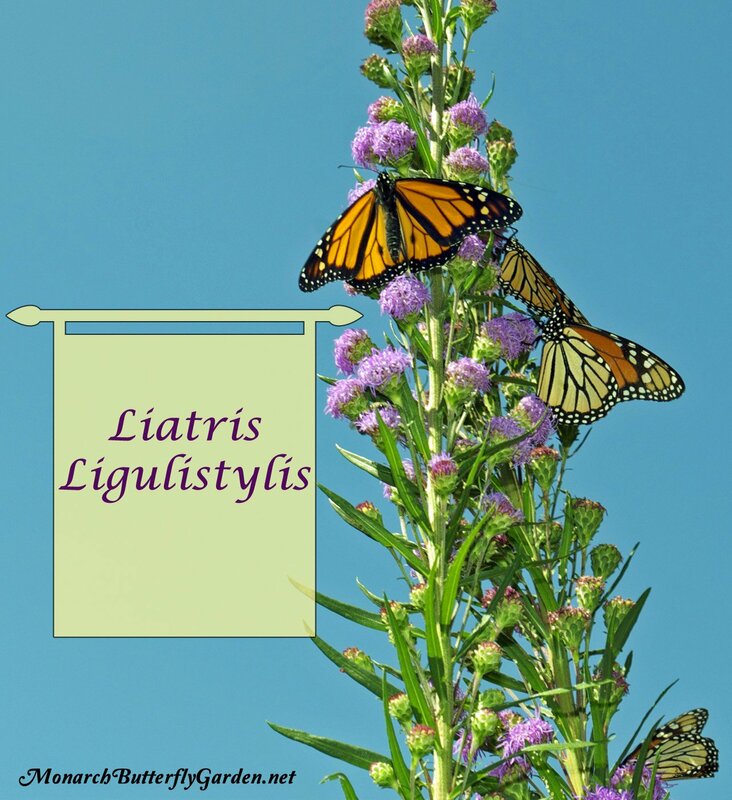 Whenever possible, I try to stick to plants native to my region–but after reading about Liatris Ligulistylis, I want to try adding it to one of my (two) planned butterfly gardens. I’m in the Northern Virginia area, and was thinking of sowing seeds (I’m in no rush for blooms right away). Do you think this plant would be doomed to fail or worse, pose a potential hazard to the local ecosystem? 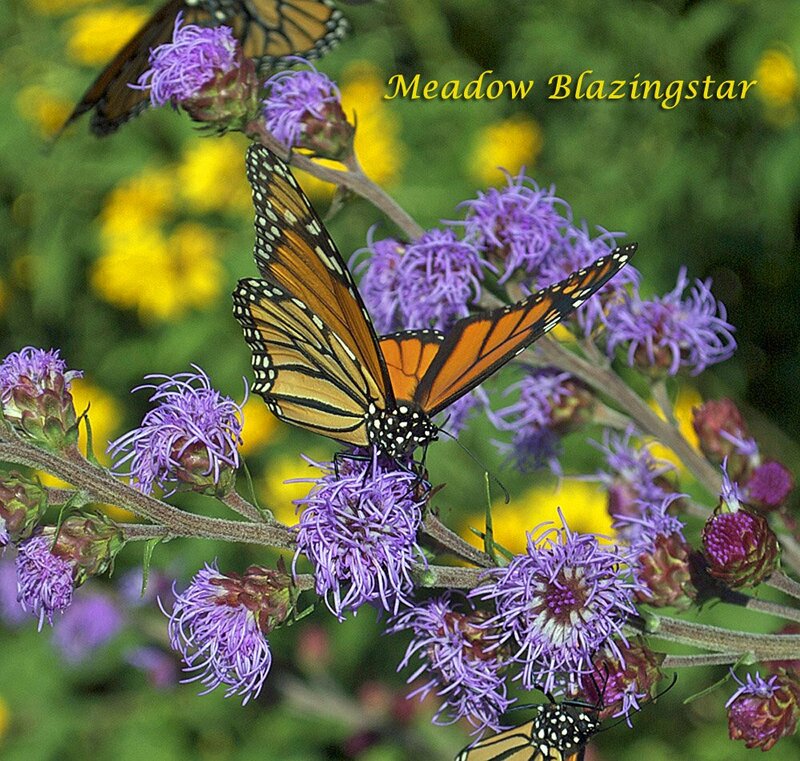 I added Meadow Blazing Star in Spring after hearing so much about it’s ability to attract Monarchs. In fact, this was one of the many articles I read about it. It sure didn’t disappoint. With only one stalk, there was a good stretch of days where I’d see a Monarch or two on it every time I went outside. I could slowly walk right up to them and they’d be too focused on the nectar to care about me. I got within inches quite a few times as I photographed them. I divided some younger stalks from the base this Autumn and planted them, as well as collected seed. I’ll be adding as many of these as I can in my native garden. I have a feeling if people had any idea how great it was for attracting Monarchs, it would be much more popular at garden centers… a must have! Can I grow this plant in Santa Cruz, Ca.? I have a mostly native garden for butterflies, and am not sure if I should use this plant. It is beautiful, and would be a great addition! What is your opinion about using mixed plantings to physically support the Liatris and create habitat (sort of a grass-less, probably small “prairie”)? I envision a bed of Asclepius sullivantii &/or A. purpurascens (monarch hosts & summer nectar), interplanted with Syphotrichum (Aster) laeve (smooth aster, fall nectar and a known host for the Pearly Crescent; I find some uncertainty about most ” Asters” and the New England types –also hosts at least if not hybrid– are almost guaranteed to mildew), with Liatris ligulistylis growing up through them, hopefully supported against wind-lodging by the bushiness of Aster inflorescences and stiff milkweed stems. In theory, later-maturing plants (asters, and maybe the Liatris) would be low when the milkweed is at its peak, and somewhat obscure it’s senescence, like planting perennials over spring bulbs/ ephemerals. Or is that wishful thinking, with a thug waiting in the wings to outcompete & kill its weaker neighbors? Hi Erik, that is such a specific scenario and its success/failure would depend on many factors including soil quality, amount of light, etc. In theory, I like the idea, but it’s something you would have to try. I would not crowd perennials though…give them some initial room to grow so they aren’t immediately in competition for survival. good luck! Is it true this doesn’t bloom the first year?? I’ll be disappointed if it doesn’t. Planted healthy plants in May but they’ve been absolutely so slow at growing. Think I might have lost a couple and the others look healthy but still very close to the ground. I’m in NE Ohio. Hi Joy, they don’t bloom the first season, and will stay a low-growing ground plant. Next year! Is liatris ligulistylis the same as gayfeather? Thank you so much for sharing your knowledge. I live in central Ohio and have a Monarch Waystation (second season), but am looking to make sure I am putting up a “butterfly” billboard to attract as many Monarchs as I can! Thank you again! Is it easy to grow ligulistylis from seed? Hi Kimberly, you can try seeds but they will grow very slowly the first season. I’ve also found the germination rate to be low considering how much it seeds. A faster way to get started is to buy plants online (if you can’t find them locally) and fall plant. In a couple years you will be able to divide them to form new plants. good luck! I bought mine from Prairie Moon Nursery. They sent me VERY healthy looking plants. Very impressed with my order from them. Thank you, Joy! I hope you’ve had a successful summer! i just planted three clumps of liatris kobold in a combination of soil and perlite in a super-large outdoor planter. i made sure to put earth between the plants and the sides of the pots. right above the planter i have hanging goldfinch feeders. i’m on the border of zones 5 – 6. how can i assure that they’ll survive the winters? should i fertilize and when? 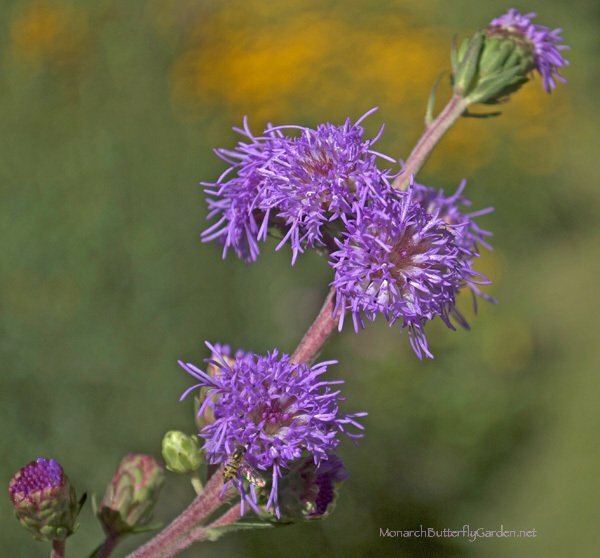 i had blazing star liatris in my narrow butterfly garden and it drove me crazy. it invaded every nook and cranny and choked out everything else. it was almost impossible to stay ahead of it. after a great deal of thought, i decided one of us had to go. those roots are very hard to dig out and spread all over the place, hogging nutrients and water. can i grow it in containers with no bottom holes or will it spread by drifting seeds? “hard to dig out” is the wrong description. it would be better to say that the roots are hard to find as they spread out all over the place. missing short pieces in that very rich soil led to new plants the following season. Hi Barbara, liatris ligulistylis is not an invasive plant (never heard this complaint from any region) so I’m wondering if you might be confusing it with another plant? The bulbs dig out of the ground very easily…in fact, you can often just pull them out. Possibly thinking of purple loosestrife, which is highly invasive and banned in many areas due to its destruction of native wetland areas? It generates from root fragments in the soil and can be nearly impossible to eradicate. Liatris spicata is usually recommended as an alternative. Because of the common liatris-loosestrife connection I often find myself forgetting which one is actually invasive. Could loosestrife have been confused for liatris in the above post? If this is the case, please post as I’d like to try out liatris ligulystilis. I’ve put in another 25 liatris bulbs so that should give me at least 35 Liatris plants this year. 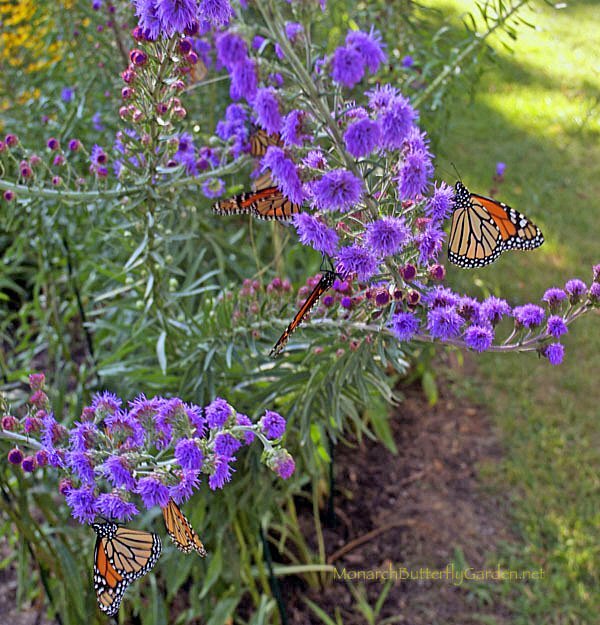 Just a quick comment to let everyone know that in our experience with Liatris Ligulistylis here in Michigan, this plant truly did have some kind of magical power over the monarchs. Now I wasn’t in the backyard every minute of everyday, but I can tell you that while I was in the backyard, our verbena bonariensis, joe pye weed, blue mist flowers, and even our butterfly bushes took a back seat to the magical powers of the liatris ligulistylis. Even the stiff goldenrod that I went out of my way to find and plant specifically for the monarchs was basically ignored until the last blooms of the liatris ligulistylis shriveled and stopped blooming. The only plant that could barely hold the monarchs attention while the liatris was in bloom was our Mexican sunflowers. One thing that we learned this year is that our blue mist flowers are tough plants that can handle just about anything. So next year we are going to give some of our blue mist flowers a hard haircut in early July so that the blooms start opening right around the time when the liatris ligulistylis stops blooming. The only problem I have with this plant is that it is very difficult to find. Go figure? 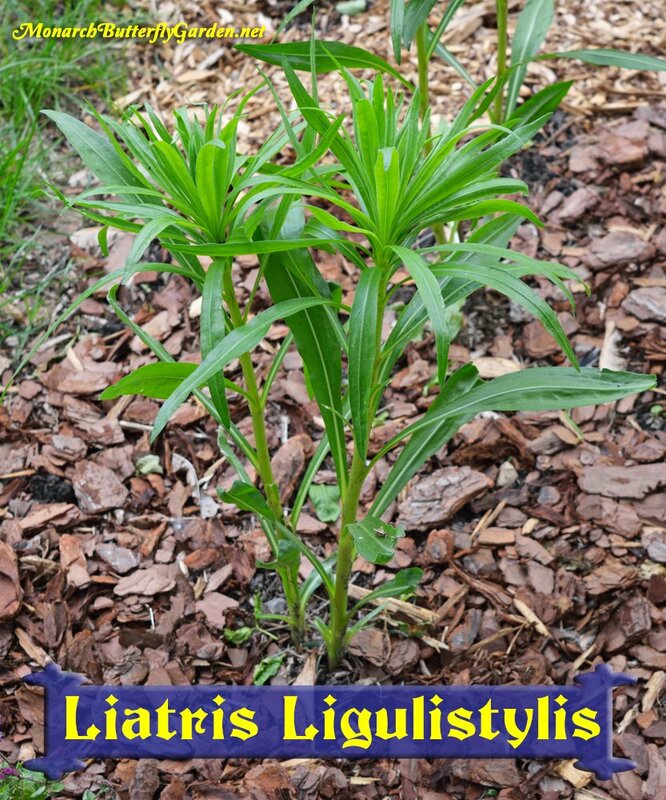 Hi Brian, thanks for sharing your experience growing liatris! And yes, the blue mist flowers go pretty much all season. It’s good to cut them back to promote new growth, but they also reseed if you don’t. You’ll probably have an even better patch next season. As for goldenrod, we have stiff and showy…neither has been a popular nectar plant for monarchs. Love your newsletter and your website. I have a question, please. On the Liatris ligulistylis: Meadow blazing star, when you divide and transplant, how deeply do you replant the bulbs? I became familiar with this lovely plant when I discovered it growing wild in NW Arkansas. It was growing in the worst type of dried out, crusted soil on a high rise above a dry ditch and I thought, if it can grow in these conditions, I want to grow it. At that time, didn’t know anything about the butterflies liking it but boy, did it attract all types of butterflies here once I had my own plants. I notice it doesn’t show up as being found in Arkansas but I have seen it growing wild in several different counties in the state. Just assumed it was native to the state. Maybe seed carried by birds? My thanks for sharing all of your knowledge with us. Hi Mary, not very deep…just enough so that the entire bulb was covered with 1-2″ of dirt. I am trying a similar liatris species next season that blooms even later than ligulistylis called L. scariosa. That might also be a good option for you to check out since you are further south. Ligulistylis definitely grows better in fertile soil, but I often hear it doesn’t grow well in warm climates. I look forward to hearing how it grows for you in Arkansas…good luck! I bought these bulbs (Liatris Blazing Star) but didn’t get a chance to plant them. Now it is August 1st…what should I do? Plant them or wait until Fall? I live just Southwest of Albany but in the Helderberg Mountains (Hilltowns) at about 1500 ft above sea level. Hi Toni, if you’re not in sweltering summer heat it should be fine to plant them now. Makes sure they get plenty of water the first couple weeks as they get acclimated to their new home…good luck! First of all great website lots of useful info here. 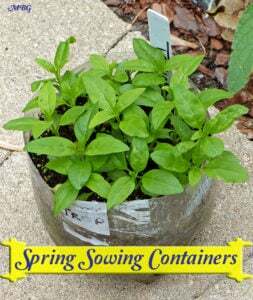 Second, I started 100 of these from seeds Jan 28, 2015 I ordered the seed from prairie moon. I guess they won’t flower this year? I read an article in the post about the Monarch decimation and have decided to turn one of the horse pastures into a butterfly garden. Then I found your website. I also have planted 4 different kinds of milkweed from seed this month. Butterfly weed, swamp, common, and showy all in 50 plug deep tray flats — the showy am having only about 20% germination rate. I am hoping the milkweed will flower this year and provide food for some Monarchs in time for spring planting. Do you think they will be large enough to support any monarchs? I have them under grow lights for 16 hours a day. Last fall I ordered 2 flats of Asclepias incarnata (100 total) to start as a base for my butterfly garden. They are overwintering now but all the stems are brown. I have mulched them pretty heavy and hope they will come back up in the spring. Zone 6B. Just wanted to ask about the meadow blazing star if started this year from seed it won’t bloom? So far they are sprouted now and each has a blade like stem about 2 inches in length. Also have 2 flats of coneflowers, 1 flat of russian sage, 1 flat of coreopsis, 1 flat new england aster, 1 flat of Liatris spicata that I started from seed. I hope this is enough to support lots of monarchs. Thoughts? I look forward to hearing about your new garden! Hi Lauren, one more thought on your plugs. Whether they mature would also depend on how established the root systems are and what species of milkweed you’re growing. I think you’ll have the best chance of having mature swamp milkweed plants out of the varieties you mentioned. Living in Southern California zone 9b/10a, I planted Liatris spicata and grew it with great success, but as a butterfly magnet, it was “myeh”. I truly want to try L. ligulistylis, but don’t wish to recreate the wheel. Has anyone tried growing it in my general area and zone, and what success (or lack thereof) did you have? I’ll be ordering some bare root plants from Prairie Moon and keep you posted as to how they fared in my garden. Hi Andy, I feel your pain with spicata…in Minnesota, it attracts a couple monarchs (and a few red admirals) but nothing compared to ligulistylis. We also have a slightly shorter variety that blooms a month earlier that I think is L. aspera. Monarchs like that too but there is less of them in the area during its bloom period. In southern California you may be better off trying mexican sunflowers (which they also flock to in drives). I’ve also seen photos of mass monarchs on echium plants in your region. good questions Brian…I know in southern states it doesn’t grow very well, according to what most gardeners tell me. We just divided ours this fall and it continues to be a late season favorite of monarchs each season. Many mistakenly believe other liatris species will attract lots of monarchs too, but they don’t because of nectar differences and bloom time. In May, we were at a nursery that specialized in unusual annuals and perennials. We asked the owner if they had any flowers that attracted butterflies, and they pointed us in the direction of their last two liatris ligulistylis. A quick check with google, and three or four glowing reviews told us we should snap up their last two plants. Throughout the summer, whenever we would stop at a nursery just to look around, I would always ask if they carried this plant. Every single nursery said no. After reading more reviews, it seems like this would be a plant that everyone who gardens for butterflies would like. Do you know why no one carries this plant? Just about everyone who has grown it says they never want to be without it? So why is it so hard to find? What am I missing? We bought the last two liatris ligulistylis at our local nursery, and they did flower this year. The monarchs seemed to like it, but by the time they started to flower, we had what looked like a dominant male set up shop in our backyard. Every five minutes or so, he would fly around just about every plant looking for other males to chase away. We even watched him take down a newly released male on his first flight. We broke up the fight, but he kept circling over us, and I had to stand over the poor little guy until he regained his wits and was able to fly away. We thought about taking him out, but we assumed that another male would just take his place. However, so many people talk about the swarms of monarchs they get around this plant that I now have to wonder if monarch males are really that territorial, or did we just end up with the roughest, toughest, meanest, nastiest butterfly in the Midwest? Hi Brian, that’s fantastic…you must have gotten some nice sized plants from the nursery. Even one plant that we fall planted last season did not flower this year. 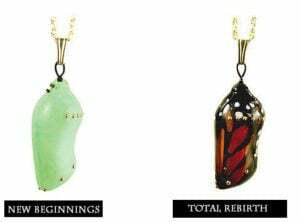 Monarch males can be territorial, but it sounds like yours took it to an extreme. The migrating monarchs are in sexual diapause so we don’t typically see territorial monarchs during the migration since no one is competing for the ladies. 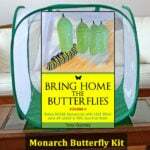 One last tip…let new butterflies dry outside safely in their mesh cage. Release them after a couple hours in the sun and they should be able to escape if necessary. I grew some of these from seed last year and this year i have the first flower open! Just saw the first monarch on the first flower. They love it Jason…hope you lots of them soon! I just bought some bulbs, and I’m in zone 10. Going to plant them as soon as I can in partial sun. Hoping it does great!!! I already have lots of Monarchs in my garden, along with lots of cats. 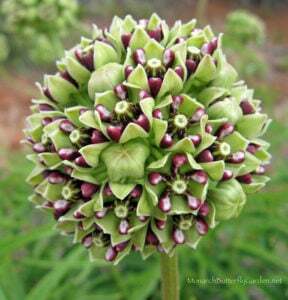 I have milkweed throughout my garden in different areas. Can Liatris Ligulistylis Blazing Star survive in USDA Zone 10 if I give it partial sun? I have not heard many reports of liatris being successful in ‘hot zones’ but it never hurts to try. I would suggest morning sun and afternoon shade to give you the best chance. However, keep in mind that if you don’t see monarchs until the migration your liatris could be done blooming by the time they arrive. I’ve had just one of these for 3 years, and despite being spindly and weak looking, last summer it was swarmed by Monarchs, and Ladies (American and Pained) and skippers. THis year, maybe because I moved it last season, it looks even more pathetic. And no one around here (MA) has seen many Monarchs, due to their decline because of the weather, etc. Saw just one, before the liatris was blooming. Anyway, if I could get it to grow better, would love to divide and spread around our tiny garden. I had bought just one of the pair I saw in the native nursery 3 years ago–wish I’d gotten the other. Hi Lisa, liatris ligulistylis prefers full sun and medium, well-drained soil.They are easy to divide in fall or spring. I rarely see other butterflies on it, but did see an eastern swallowtail amongst the monarchs this weekend. I hope you see more monarchs soon!